I have left roads behind and walked alongside a river fringed by spider-webbed thistles, foxgloves, grasses and wild thyme. I’m joined from time to time by darting sand martins, and my dog is visibly smiling at the chance to run in and out of a stream that’s as playful as he is. 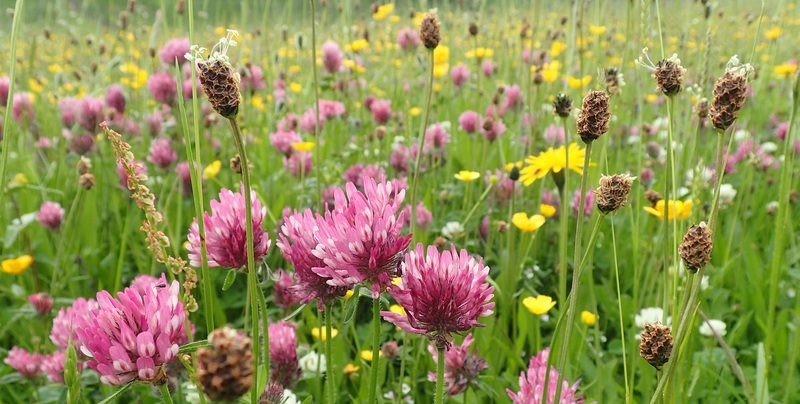 The river takes me to the valley’s heart and a dazzling expanse of wild flowers. Each time I come back, I slough my thoughts like a worn out skin, and step into a time that is marked by bees, weather, flowers opening and closing, and my own hunger or thirst. I’m back to basics, going to the river for shade and drinking water, and taking as long as I want to watch a butterfly, a flower, a cloud. It’s remarkable to me – perhaps this reveals just how much my mind has slowed – that only two small lines distinguish the word PLACE from PEACE. Walking into High Borrowdale is to walk into peace. It can take a lot of hard work and planning to make an exit from ‘normal’ life. But all being well, if unexpected obstacles don’t arise, it is entirely possible. In the meadow, I’m delighted to say, I have no phone signal. No internet. I am out of contact. It’s not a busy place, even though it’s on a public footpath, and I frequently have the entire valley to myself. This allows an expansiveness that can only be found in open, uncluttered spaces: time expands, space goes on and on, the conditioning of life in a house, on a street, in a town, is no longer relevant. My spirit feels it. When the day simmers down into a dim midsummer dusk the valley shows another side. I have been treated to a light show lasting three hours, bursts of incandescent white so bright they took me back to the first light after womb-blindness. I watched the full moon rise behind the old sycamores and turn the meadow daisies to milk. Last night a shriek from behind my tent pierced the air. It cut right into me, every nerve wakened. Made me stand stock still. It came again. I moved quietly and trained my eyes through the gathering dark towards the sound. A vixen stared back at me, brush tail high, eyes locked onto me. I don’t know if she was calling for a mate, or shouting at me. She carried on until the darkness had truly settled, then retreated, and her voice disappeared into the night. She was my reminder, as if I needed one, that wildness is still very much a part of our land. And you don’t have to go far to find it. It can start with a journey into beetime. 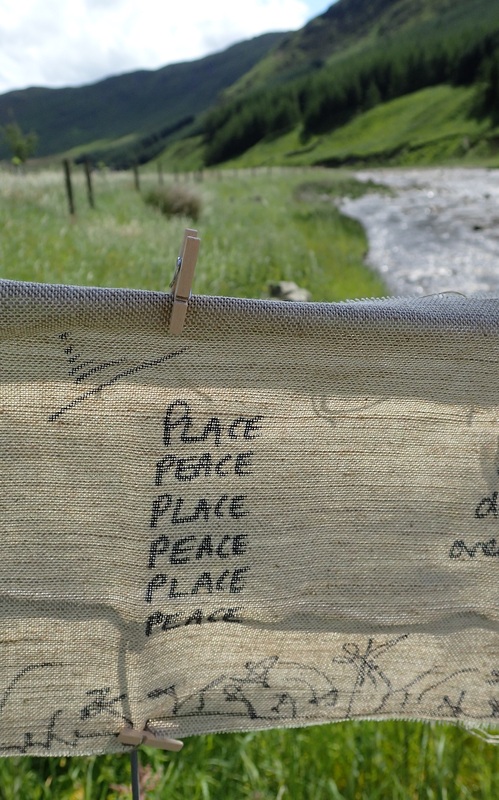 This blog was written by me, Harriet, while Rob was in Bolivia - I have been fortunate enough to be 'Poet in the Meadow' at the wonderful Friends of the Lake District site in High Borrowdale, just north of Kendal, Cumbria.